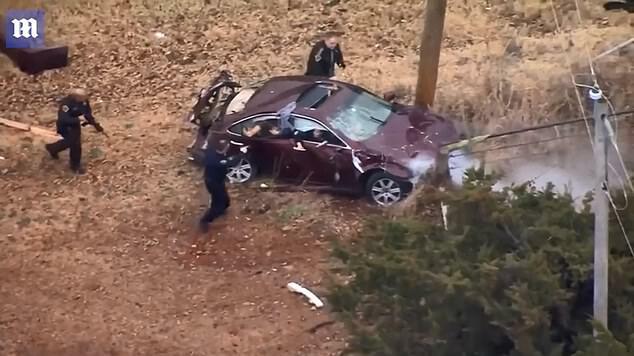 Dramatic footage shows a driver leading cops on a high speed chase through multiple towns before they performed a maneuver to finally stop the car in Oklahoma. Officers attempted to pull over a maroon sedan near I-40 and Portland Avenue in Cleveland County at 10.30am on Friday. 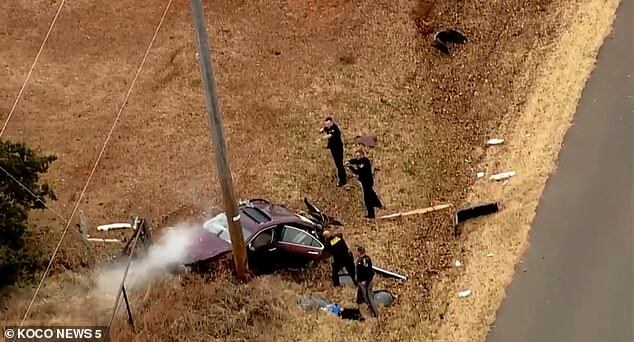 The high-speed chase led police through southwest Oklahoma City to Moore and into Norman. 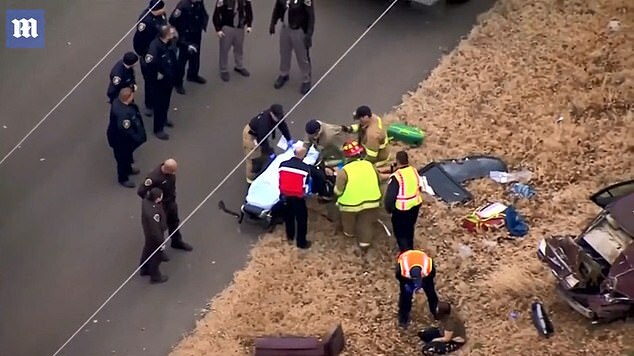 At some point throughout the chase, the driver reached speeds of 120 miles per hour. A passenger in the suspect vehicle jumped from an open door during the chase, which spanned several towns and cities. 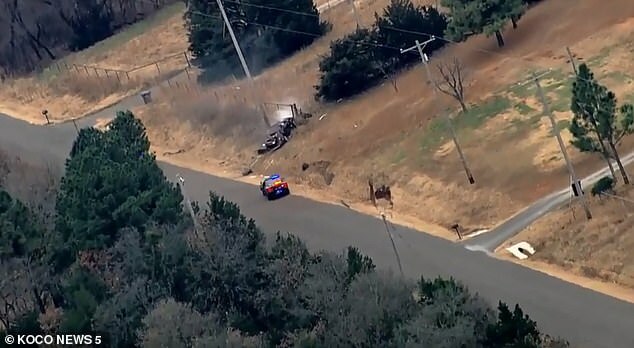 When police performed a pit maneuver to stop the car, it went off the highway, flipped several times, and crashed into a utility pole. Four people who were in the car had been arrested and taken into custody. The driver, 27-year-old Daydrion Dennis, was issued a number of traffic citations. 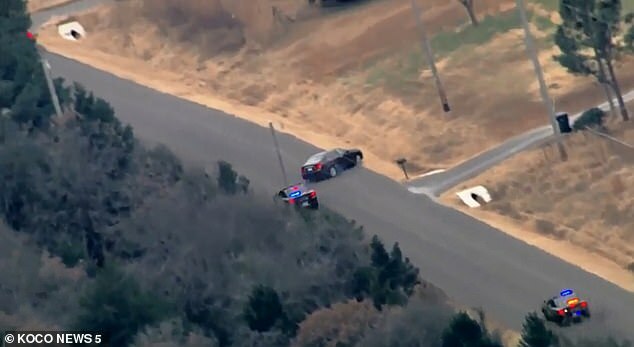 As the chase reached a town called Norman, police pulled back on the chase since they were getting into areas with heavier traffic. Although officers stopped chasing her, the driver continued to speed through red lights and stop signs. The officers hit the vehicle with a PIT maneuver, which caused the vehicle to go airborne and roll several times. The driver was pulled from the window since the door was shut. Two other people were pulled from the vehicle. Dennis was taken to the hospital to be treated for her injuries.